Have a question about UCNS? We can help! Here are a some common questions families may have about the nursery school and the parent cooperative model. Please feel free to contact us with any other questions you may have! How is UCNS different from other preschools? 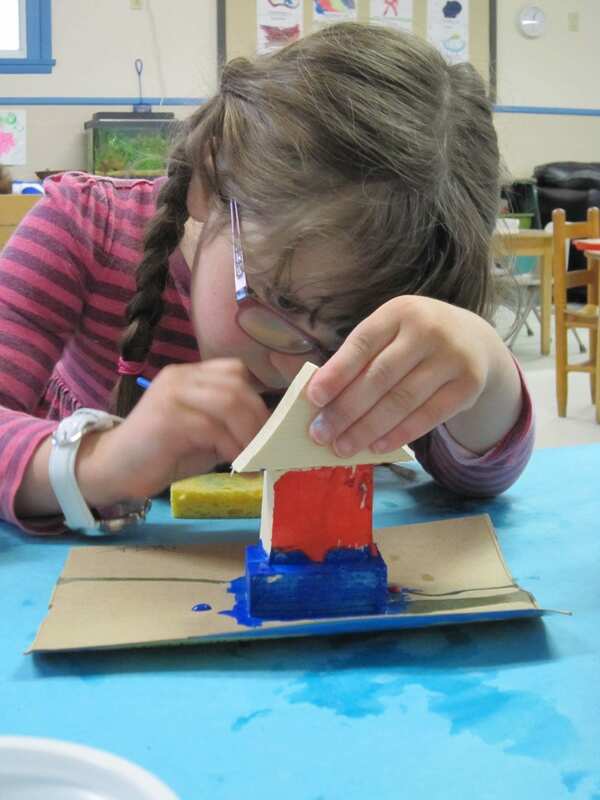 Our school believes in a “developmentally appropriate” program, one that promotes the physical, social, emotional, and cognitive development of young children through play. Activities are age appropriate (approximate to the stage of development of the child) and the curriculum and adults’ interactions with children are individually appropriate (they take into account individual differences among children). Second, we function as a support system for families. UCNS is a community of families as much as it is a school for young children. Third, we are a parent cooperative. This means that parents have the opportunity to be deeply involved in their child’s early education. Parents hire teachers, set tuition, create and execute a budget, and have input in the running of the school. Does a family have to be affiliated with Cornell University to enroll their child? No. We welcome families from the Ithaca area who are not affiliated with Cornell, as well as Cornell staff, student and faculty families. Cornell affiliated families do receive priority enrollment. How much does UCNS cost? UCNS tuition depends on your family income and the number of days your child attends. We have sliding scale tuition based on family income from all sources, before taxes. Tuition may be paid in full before each semester starts or in installments. Please see the tuition scale for more details. What is your adult/child ratio? 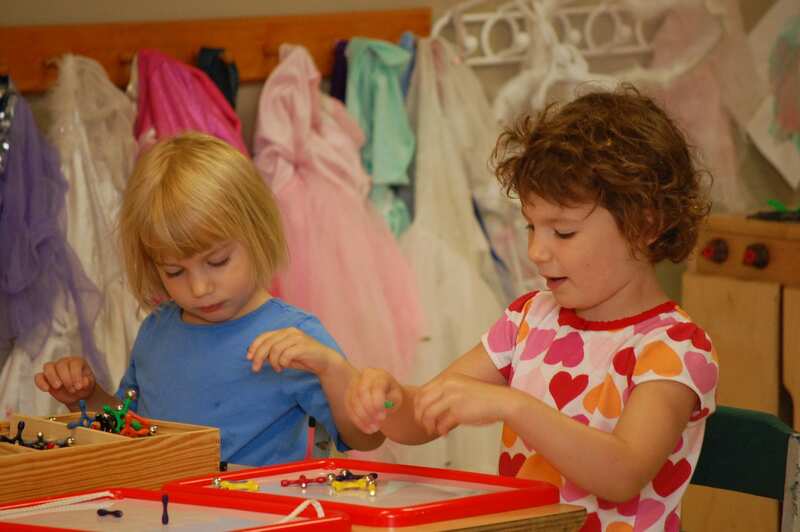 Our adult/child ratio is one of the best in the Ithaca area nursery schools! At full enrollment, we have a maximum of 16 children in the classroom each day and a minimum of four adults, two teachers and two parent helpers. This is an adult/child ratio of 1:4. Since parents are always welcome in our classroom, there are times when there are more adults present. How ‘structured’ is your program? Our program is play based and allows children to choose from a variety of activities. Each day starts with a morning meeting. 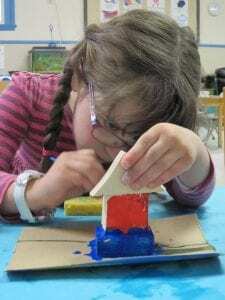 This is followed by an extended period of free play, when children can participate in many activities: an art project, easel painting, drawing, water and sand table play, dress up and other dramatic play, block building, reading, etc. This free time is long enough for the children to become involved in play with peers, if that appeals to them. We then meet for a book break, followed by a snack. This is followed by at least half an hour on the UCNS playground. Is my child ready for UCNS? All children applying for the program should be 3 years of age by December 1st. During the first few weeks we pay special attention to the process of separation from home and parent. We encourage parents to spend time in the classroom during the first few weeks of school to help children make the transition to attending school. Parents are always welcome in our school. My family is really busy. How much work would I have to do if I enroll my child in UCNS? Families assist in the classroom as parent helpers, 1 shift per month for a child enrolled in the Tuesday/Thursday class, 2 shifts per month for a child enrolled in the Monday/Wednesday/Friday class, and 3 shifts per month for a child enrolled Monday-Friday. Families attend at least one evening meeting per semester (we have two semesters per year). Families participate in school clean-up days. Families work on one committee. I have a younger child at home. 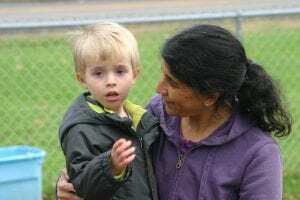 How can I be a parent helper in the classroom? Many of our families have a younger child at home. At the beginning of the semester, these families often work out a babysitting swap, so that on Parent A’s helping day, Parent B takes care of both A and B’s children and vise versa. If you have an infant that is not yet mobile, you may bring him/her to school with you on your parent helping day. You may also choose to hire a parent helping substitute on your helping day. Families may apply by filling out our online application form. Paper application forms are available from the Registrar (ucnsregistrar@gmail.com) or by calling the school at (607) 266-9680. Please contact our Registrar in order to schedule a visit to the classroom during a regular school day. Which immunizations is my child required to have before enrolling at UCNS? What documents must my family provide to UCNS before my child begins school at UCNS? Before children begin the school year at UCNS, families are required to submit a copy of a child’s immunization records, as well as a copy of his/her most recent physical exam record (within the past 12 months). More information about required forms is provided in a registration packet sent to each family of an enrolled child. The registration packet is mailed to families in July and returned to UCNS in mid-August. This packet has a number of forms to fill out, including a physical/immunization form, emergency contact form, tuition contract, committee request form, and more. Children are required to be fully immunized, as indicated by New York State Public Health Law Section 2164. Please visit the New York State Department of Health’s website for more information. Feel free to also contact Sarah Collins, the Educational Director at ucnsoffice@gmail.com, if you have any questions about immunizations or the UCNS registration packet. I have other questions about UCNS. Whom should I ask? For questions about enrollment, email the Registrar (ucnsregistrar@gmail.com) or fill out our Contact Us form. For questions about the classroom, families may email the Educational Director (ucnsoffice@gmail.com) or call the school at (607) 266-9680. Please leave a message on the answering machine and someone will return your call promptly. Our Registrar can also provide new families with a list of parent references, upon request. Thank you!